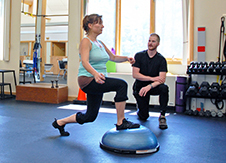 What is the Institute for Health & Human Performance? Institute services provide a continuum of care that allows us to have a broader impact on helping people optimize their health. These services include Massage Therapy, Medically Based Personal Training, Health & Wellness Coaching, and Workplace Wellbeing consulting. The Institute serves as a venue for the community for education on a broad spectrum of topics related to health. Educational components include our Speaker Series events (informational forums for public and healthcare communities), in-house continuing education and mentorship for staff, serving as a clinical site for DPT students, providing undergraduate internship opportunities and professional residencies, and hosting a variety of in-clinic learning experiences. QUARTERLY NEWSLETTER Our quarterly print newsletter, which is also available to view online, is a key component of our effort to provide educational resources to our community. Our newsletter features informative articles about health conditions and treatment options, information about Institute events and services, as well as inspiring success stories provided by our clients that help readers to chart their own course to pain-free movement for life. Similar content is made available two times each month via our email updates. SPEAKER SERIES EVENTS Our Speaker Series is intended to be a source of information and knowledge for members of our community across a broad range of topics related to health, human performance, and overall well-being. Past speakers have included area physicians from a variety of specialties, as well as members of the Cioffredi & Associates clinical staff. Speaker Series events are hosted in the clinic space, and take place in the spring and fall. CONTINUING EDUCATION & MENTORSHIP Our clinic puts a high value on continuing education and sharing of knowledge between colleagues through our mentorship program and individual company-supported continuing education each year. 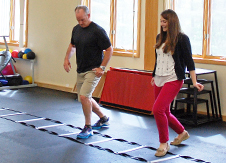 Our monthly mentorship program is run by Kate Leiser, DPT, OCS, and includes reviews of the most up-to-date evaluation and treatment techniques and discussions about current research in PT, sports medicine, and rehabilitation. Periodic seminars led by area healthcare providers from different specialties are another important component of clinical staff professional development at Cioffredi & Associates. CLINICAL SITE FOR DPT STUDENTS We are a clinical site for DPT students and have an excellent reputation for high quality student experiences. Becca Swope is our Center Coordinator of Clinical Education (CCCE), serving as liaison to college and university DPT programs. She interviews and selects interns, assigns a clinical instructor from among our clinical staff, provides supervision, and manages accountability. DID YOU KNOW? Cioffredi & Associates is an orthopaedic residency site for Arcadia University. 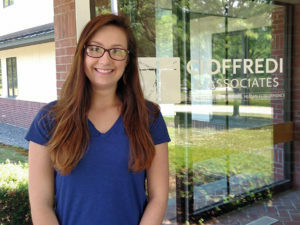 UNDERGRADUATE STUDENT INTERNSHIPS Cioffredi & Associates is committed to providing summer internship opportunities for deserving undergraduate students who are exploring options in healthcare careers including exercise science students with an interest in pursuing a future DPT. MIDDLE SCHOOL JOB SHADOW DAY Each spring, through the Upper Valley Business & Education Partnership, Cioffredi & Associates hosts area eighth-grade students for a daylong job shadow experience. Students have the opportunity to observe and work with members of our clinical staff to learn about physical therapy and our other services. CLASS VISITS Periodically we host student visits from a variety of local schools studying anatomy, physiology, or other health-and wellness-related subjects. 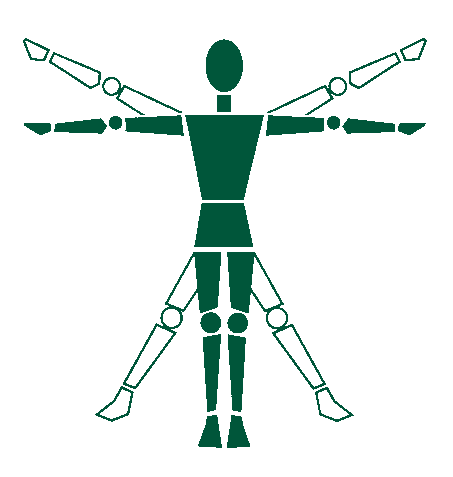 Learn more about how Cioffredi & Associates | The Institute for Health & Human Performance is acting on its mission by joining our mailing list!